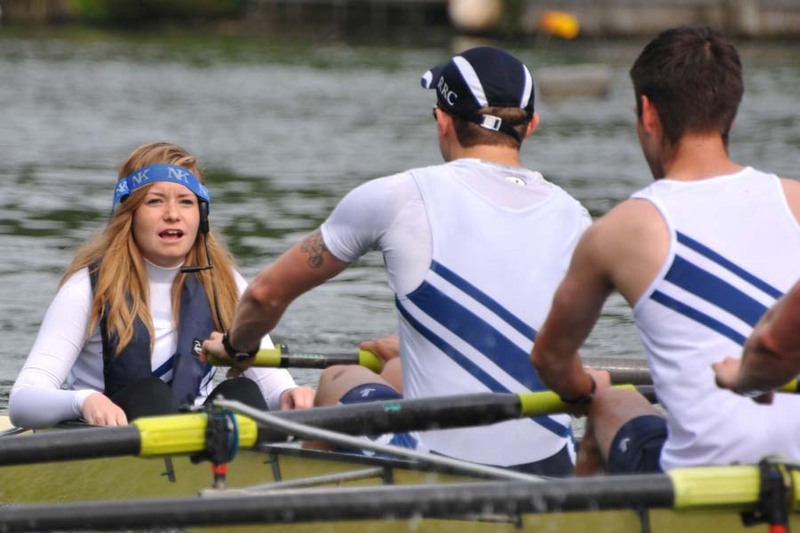 Reading Rowing Club is delighted to welcome any new coxes, either novice or experienced. Coxing isn’t just about being the little one shouting at the back; it can be one of the most demanding and rewarding positions in the boat. As a cox, it’s down to you to steer the best course, and motivate your crew during training and racing; and a good cox can be the difference between winning and losing! While it can be challenging, the thrill of racing is like nothing else, and you’ll make some great friends along the way. At Reading, we’re situated on a fantastic stretch of the water, and are well-known for being the friendliest club on the Thames, particularly to coxes! We welcome coxes throughout the year; if you’ve never stepped in a boat before, you can start through our Learn to Row programme; you can then choose whether to move into one of the competitive racing squads, or cox socially with the Explore Squad. For more experienced coxes, all of the racing squads offer plenty of opportunities for progression, with men’s and women’s crews competing regularly at a high level, including the Tideway Heads and Henley Royal Regatta. For more info, contact one of the Vice Captains, or our Learn to Row Co-ordinator.